One year! 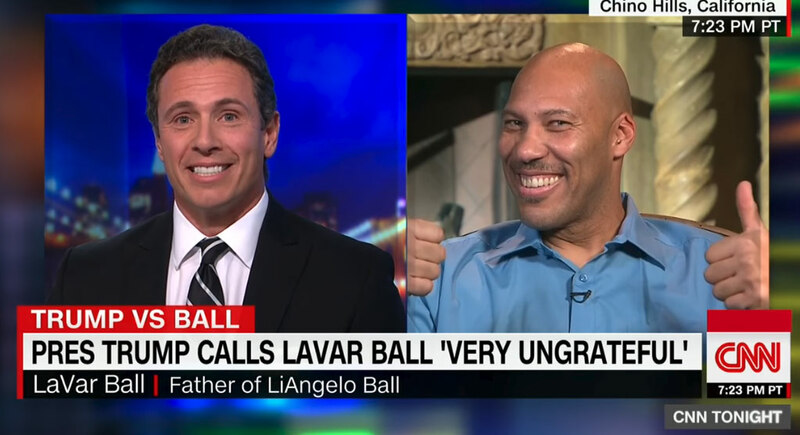 It only took LaVar Ball one year to go from the unknown Dad we used to see on sidelines of Chino Hills games we were filming to the most polarizing Dad in America, being interviewed on CNN about his “beef” with the President of the United States. In between those 12 months, he started one of the most disruptive brands in the world, was given a reality show by Facebook, spoofed on SNL and even got a response from Michael Jordan by claiming he could beat the GOAT one-on-one. I’m not sure if that says more about him or the world we currently live in.